This Saturday is .xyz’s 4th birthday! We’re celebrating 4 years of supporting the next generation of internet users by giving them the freedom to get online with an affordable and memorable domain name, and the power to choose the domain that they want. Our mission from Day 1 has been to reset the internet to give Generations X, Y, and Z a domain extension that’s made for them, and one that is dedicated to making the internet a better place for them. So, what we’d really like for our 4th birthday is a truly open and free internet for everyone. We’ve pledged to donate a minimum of $10,000 during this campaign, but we’re confident that with your help we can make that number much, much higher. You can track the progress of our donation campaign on our gen.xyz homepage. 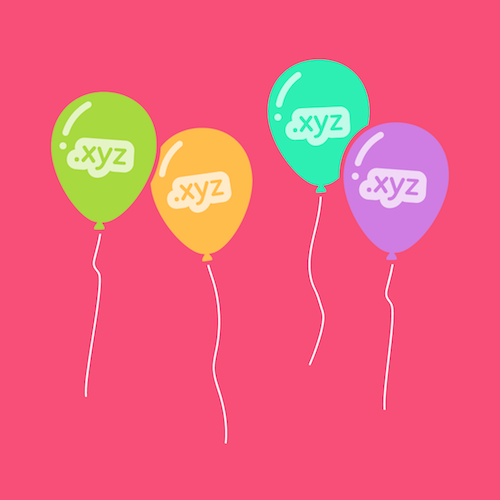 What we’ve accomplished with all of you in the #GenXYZ community of users and supporters these past 4 years has been everything we’d hoped and dreamed for when .xyz launched. But we’re just scratching the surface of what we can do, and with your help we’ll continue to shape the future of the internet for generations and make it the best it can be. Are you ready to join us in protecting a free and open internet? Then renew your .xyz domain or register one for 2 years today! *Sale prices available only at participating registrars. See the full list of participating registrars here. In this past, we’ve brought you plenty of awesome creative works by #GenXYZ. 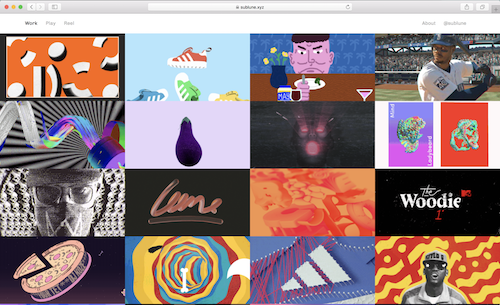 We’ve shown you the awesome LA-based animator SoaLee.xyz, box office hit designs by ViceRoyal.xyz, and worldwide graphic designer Sammy6000.xyz. This week, we’re excited to add another addition to our creative line up – motion graphics designer Sublune.xyz. He’s a new up and comer who is ready to create the animations you’ve been dreaming of. Sublune.xyz, or Joseph May, is a Vancouver based artist who has done some impressive job work in his short career. He’s worked in many different areas, such as music, TV, and fashion. Not one to be painted into a box, he’s made it clear that his skill set can vary to meet your every need. He’s done work for famous musicians like One Direction, Disclosure, Olly Murs and Two Door Cinema Club. And when he’s not working on visuals for tour stages and music videos, he’s doing projects with Adidas (here and here), creating promotional videos for MTV, and helping design a new world for Parklife Festival. Some of his recent works even include working on popular video games MLB The Show 17 and Watch Dogs 2. As you can see, Sublune.xyz’s creativity knows no bounds. His ability to create art for every idea, industry, and format is something that will allow him to continue to grow into a successful animator. Sublune.xyz likes to stand out, and using a .xyz helps him express his individuality. Do you have amazing artistic talents that you want to show off to the world? Then go ahead and grab a .xyz domain now! You can keep up with Sublune.xyz on his Instagram, and you can keep up with us on Instagram, Facebook, and Twitter. On May 25, 2018, the European Union’s new General Data Protection Regulations (GDPR) will go into effect. The GDPR laws are the result of years of lawmakers’ efforts to create a system that is prepared to protect consumers privacy and information against the data breaches and security threats that have been steadily increasing across the web. To help you make sure you’re ready for the changes GDPR will bring, this week’s installment of XYZ’s Internet “How-to’s” is all about GDPR; What GDPR is, Why GDPR matters, and how you can prepare for GDPR’s implementation. GDPR is the EU’s set of rules and regulations that are designed to protect EU consumers online from identity theft, invasion of privacy, and leaks of personal data into the hands of malicious actors online. The GDPR provisions regulate organizations or businesses that collect, transfer or process consumer information online, especially sensitive information like names, addresses, credit card numbers, and more. GDPR regulations ensure consumers’ data remains safe by placing legal obligations on any business or organization online that handles that information. These obligations include things like making sure the organization keeps records on how they process data and even harsh legal penalties for organizations that are subjects of data breaches. If you’re a business owner with a client base in the EU, you must prepare to abide by the new laws before May 25 or be subject to fines. The number one priority you should have is to get in compliance with the laws, if you haven’t already. You should also prepare your organization’s data collection methods and data storage systems. Send your consumer’s opt-in privacy notifications and tell them how you will protect their data. Most importantly, invest in the cybersecurity of your company. There are many cybersecurity best practice guides available online, but if you need to look further and enlist outside help via a cyber protection service, don’t hesitate to do so. As an individual preparing for GDPR, your main concern should be to take note of the opt-ins that you receive from companies who have your information online and make sure that you approve of how they will be handling your information. If you don’t feel comfortable with the measures they are taking, it is your right to opt-out and have your information removed from that company’s database. Be careful, though, when completing privacy opt-ins. Since many companies are sending these privacy opt-ins via email, scammers and fraudulent agents are seizing this time of increased security opt-in emails to pose as companies or organizations and trick consumers by into giving over their personal data. Remember, a legitimate company sending a privacy opt-in will NEVER ask for personal information like your name, address, or credit card number. You should also check the email address you received the opt-in from, and make sure it matches the company or organization’s website. Security is of the utmost importance online, so consider protecting your domains by adding registrar locks on them. This will give you an added layer of control over your domain and ensure it is not taken or falls into the wrong hands. Similarly, you should also consider adding two-factor authentication on your domains. This will ensure that you are notified any time someone is trying to access your domain name, and you can detect suspicious behavior right when it happens and keep your domains safe. GDPR is set to have a far-reaching effect on the internet, but if you follow this guide you will be knowledgeable of the coming changes and ensure you are prepared for them. Be sure to read our past “How to” posts if you’ve missed any, and stay up to date on all things XYZ by following us on Instagram. We’ll be back next week with another internet How To, so be sure to stay tuned to our blog for more! *Nothing in this blog post constitutes legal advice. You see it on the news all the time, major companies are shutting down their physical stores across the country. There’s no denying that online shopping is the future of retail, but with the ease of opening your online store comes more problems. How do you get a customer to purchase from you with so many shops available? Flippo.xyz is here to change that. 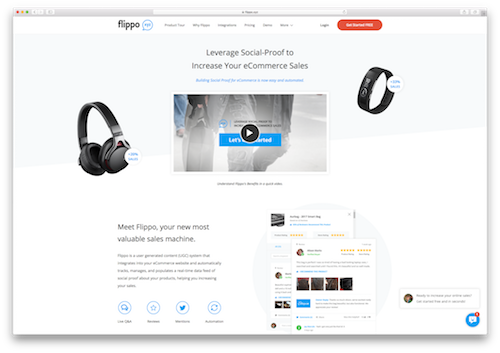 Boasting a 2 minute install and the ability to integrate with 9 popular shopping platforms, see why Flippo.xyz is the right move for your online store. Flippo.xyz is computer software company located in Tel Aviv, Israel. It all started when CEO, Shir Ekerling, realized that his client had a ton of buzz about their products on social media, but no way to bring it to his shop. That’s where the idea of Flippo.xyz was born! He got straight to work on creating an advanced user generated content (UGC) tool that allowed people to communicate like a social media platform and ask questions and discuss the products right there in the online store. The small but powerful team has created a product that all shops can use, and helps to increase sales, time spent on the shop site, user involvement, and even SEO performance. Flippo.xyz is available as a monthly or yearly subscription and the best part is that you can start using it for free! Do you think your shop could use a boost? Then go ahead and start your subscription today! We love seeing entrepreneurs finding new and important ways to advance the online world. Flippo.xyz is just one more addition to the awesome #GenXYZ community of .xyz adopters and we can’t wait to see where they go from here! Do you think you have the next big idea? Then go ahead and secure your own .xyz today! There’s always room in the world for improvements, and you just might be the next big idea. The XYZ team loves getting out in the field to meet with our partners. One of our favorite trips is the GoDaddy Road Show, where the team packs up an RV with shirts and swag and drives east to visit GoDaddy’s offices in Phoenix and Hiawatha. Our Road Show tradition started in 2014 before our global launch, and we visited most recently in 2017. This year’s journey to GoDaddy was highlighted by great conversations with GoDaddy employees and fun experiences touring the GoDaddy offices. Get the full experience yourself by watching our recap video below! If you’re not familiar with the “sharing economy,” you might be surprised when you take a step back and realize it’s the new norm for how #GenXYZ gets things done today. From ridesharing apps to home lending services to freelance online job sites, the sharing economy has transformed our day to day lives and the landscape of business as we know it. 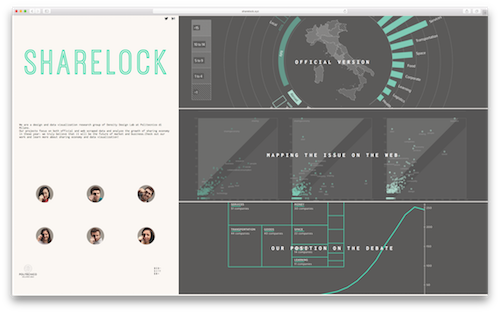 This week’s #WebsiteWednesday, Sharelock.xyz, mapped the data on the sharing economy, and they’re using that information to help consumers understand this new norm and to help businesses succeed in it. Sharelock.xyz is more than just a site with data on the sharing economy, it’s a house of invaluable knowledge and projections for one of the biggest economic makeovers we’ve ever been a part of. If you want to learn more about the saturation of the sharing economy and how businesses under the sharing economy umbrella are performing, you can simply check out Sharelock.xyz’s official overview, or phase 1 of their report. From there, you can move on to see their map of the sharing economy’s rapid growth and what effects “super actors” like Uber, Airbnb, and TaskRabbit have had while increasing their market share, as well as their effect on smaller sharing economy companies. Once you’ve traveled along through the history of the sharing economy and seen the data behind it’s growth, you can join the Sharelock.xyz team in looking ahead to what the future of the sharing economy holds, and the massive changes it still has in store for our global economy. This page even has a nifty tool at the bottom that Sharelock.xyz created to help you decide what sharing economy business you should start yourself! As we move forward into the future, it’s always valuable to take a look around at the effects we’ve already had on the world around us. We can do this to learn what our successes have been, and to find out where our passions lie. Sharelock.xyz will help you find your calling with the perfect sharing economy business for you, and the unlimited power of your .xyz domain will enable you to take that idea to the greatest heights you can imagine. When you’re part of a community, one of the biggest benefits is being able to draw inspiration from your fellow members and push your own ideas further with their support and input. But have you ever taken a step back to think about what you could create to help make the lives of your entire community easier? The creator of this week’s #WebsiteWednesday did just that, and used a memorable domain to bring his ingenious idea to life: Pages.xyz. 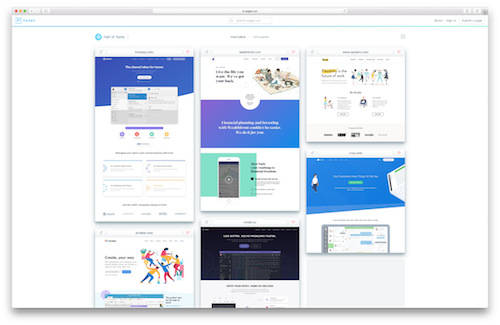 Thomas Chrétien is a developer who has spent the past year and a half gathering helpful pages for his fellow UI designers, UX designers, and coders to use for their various needs like product pricing, support, new apps to use, and more. While his diligent work creating directories of these kinds of pages was indeed a great service, he realized it could be even better. That’s when the idea for Pages.xyz came to him; a website that would be a collection of all these helpful pages, all in one easily accessible place! Since Thomas created Pages.xyz, it has been used by countless designers and coders, and was even chosen as ProductHunt’s #1 Product of the Day on March 22, 2018, and later as the #2 Product of the Week for that week. The sleek and easy to use design has been a massive hit with its users as well, garnering Pages.xyz over 2,000 upvotes on the ProductHunt platform, and countless rave reviews. If you’re a part of a community and you have an idea that will help out your fellow members, getting that idea online is as easy as XYZ. Just like Thomas, you can secure a .xyz domain and start building the product or app that will revolutionize your community, and you can do so with all the freedom and flexibility that your new .xyz domain name will provide. So, think you have the idea that will change the lives of your friends, co-workers, or community? Make it a reality and bring it to life online with your own .xyz domain today!